Why would I need self storage in Green Brook, NJ? There are a variety of reasons why you might need self-storage in Green Brook, NJ. How much is a storage unit in Green Brook, NJ? The cheapest storage unit in Green Brook, NJ is $58.00 per month. What size storage units do you have available in Green Brook, NJ? In Green Brook, NJ we have sizes that range from 5'x5' to 10'x30' to suit your storage needs. How much is it for a 5'x5' storage unit in Green Brook, NJ? The cheapest 5'x5' storage unit in Green Brook, NJ is $58.00 per month. Located just south of New York City, Green Brook has long been a desirable destination for both residents and business owners. Once a small farming community, Green Brook has used its prime location and rich natural resources to grow into the vibrant community it is today. The township's motto is "Small Enough to Know You, Large Enough to Get Things Done," which describes both this tight-knit community and its easy access to plenty of amenities. Just 35 miles south of New York City, Green Brook offers easy highway and rail access to the metro area. Green Brook started as a small tract of land subdivided from Warren Township in 1872. In 1885, part of the land was developed into the Borough of North Plainfield. From there, another, smaller borough was carved out in 1926, named Watchung. Eventually, the municipality was renamed Green Brook Township for the Green Brook, a waterway that passed through the town. Green Brook is home to over two dozen businesses that specialize in personal services like beauty and massage, as well as about 10 sports and fitness centers. Local medical practices include physicians, dentists and chiropractors, and the township also has several childcare and education facilities, financial and legal services, real estate and construction companies, and business consultants. All these businesses provide a variety of jobs to the small community of Green Brook. If you can't find the right job in Green Brook, you can easily commute to one of the larger cities in the area. New York City is just over 30 miles away, and public transportation options offer a stress-free commute. Elementary and middle school students in Green Brook attend Green Brook Township Public Schools, while secondary students attend Watchung Hills Regional High School in nearby Warren Township. Utilities: Public Service Electric & Gas is Green Brook's primary electricity provider, and the township manages water and sewer services. Garbage and Recycling: As a Green Brook resident, you'll be responsible for organizing your own trash collection services. Transportation: The New Jersey Transit system serves the community of Green Brook, providing public transportation throughout the township as well as to many surrounding cities. In general, affordable and mid-priced homes can be found throughout the township's center, along U.S. Highway 22. The township's largest and priciest homes tend to be congregated around Washington Rock State Park. Like many East Coast communities, Green Brook is somewhat expensive, with a median home price that's well above the national average. However, it's possible to find affordable options, thanks to a diverse housing market. Rental options are limited, but there are a few apartment communities in the area. Our lowest priced units in Green Brook, NJ average $58.00 per month. 38 people have reserved units in Green Brook, NJ in the past 30 days. 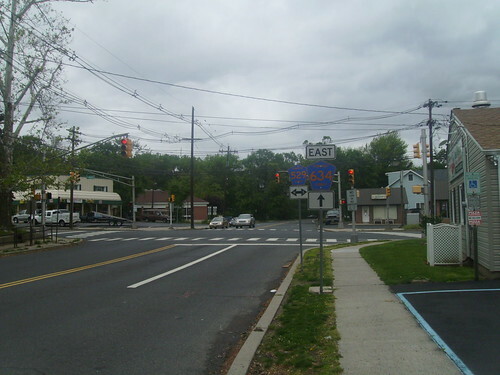 There is 1 location within Green Brook, NJ's city limits. There is 1 location in Green Brook, NJ that offers AC and Heating features.